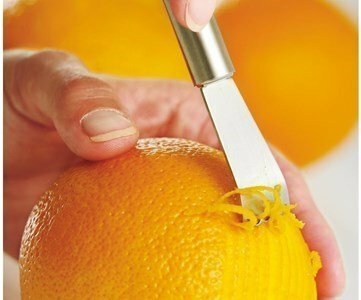 Scrape and decorate without damaging! 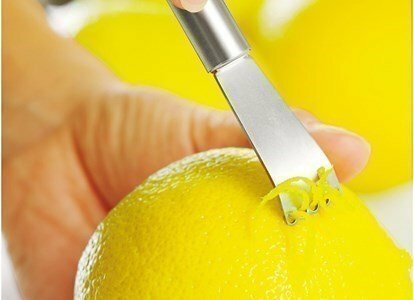 With this lemon scraper, you can obtain delicate lemon wires without damaging the rind, without cutting the bitter white skin underneath. Perfect for decorating desserts, caramelize or to aromatize beverages! Get a fresh and intense flavor in seconds and effortlessly. An item to have around, for refreshing and tasty moments! Polished stainless steel with protection Cromargan ® "Profi Plus" line.